We (linascraftclub) making video for Independence Day in USA. 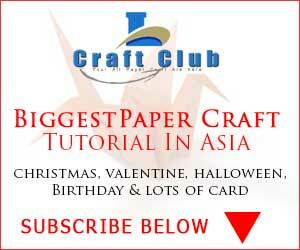 We making various kind of paper craft to entertain kids and learn how to. We are searching on google to find out the best and popular paper craft, trend and occasion in the world basically United Sates of America. This continue process today going to show you How to make USA flag? Its make for Independence day in USA for kids. Its almost 3 minutes of video, hope you enjoy the video. Stay with us till end the video. If you like please share it with your friends and help me to make my video popular. Hope you enjoy how to making a paper card designing USA flag style. Step1: First of all you arrange this Red, White and Blue paper. If you expert cutting star shape that’s fine, otherwise using a shape cutter. Step 2: Now you re-arrange the cutting paper on the main card board look like a flag. Step 3: Now take the star shape paper you cutting first time. Attach it on the card. See image below. Step 4: You are almost done. Happy to make your first card. Now write down a greeting text inside the card. Wish or make a quote for America. Finish: Hurrah!!! You are done a great job. This card is now complete. Hope its look like this one. But I just decorate the card using flower. You can use anything that make the card more nice.